New Rowling Twitter Header: What Is It? Are We Off to China in ‘Beasts3’? Just in time for Orthodox Nativity and Western Epiphany, Rowling switched out her Twitter header on 7 January but kept the same cameo picture. What is the exotic location pictured? “Let me google that for you, Dad,” as a daughter likes to say when I ask easily searchable questions. Google Image Search says it is Zhangjiajie, specifically Wulingyan Scenic and Historic Area, a ‘AAAAA’ Scenic Site. The grading for scenic sites is a lot like that used in Mr Scamander’s Fantastic Beasts for the relative danger of the various creatures. (F) is for Fjord — it’s a Rosmersholm picture? 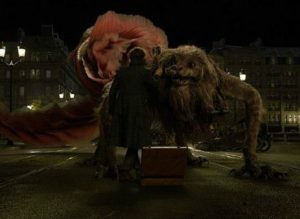 (1) Ring Composition: Beasts3 will be the pivot or story turn of Rowling’s five part series. As such, it will echo Beasts1 in significant fashion and point to the return-to-the-beginning in Beasts5. 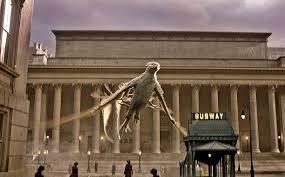 The first film in the franchise, you’ll recall, turned on the return of Frank the Thunderbird to the United States. 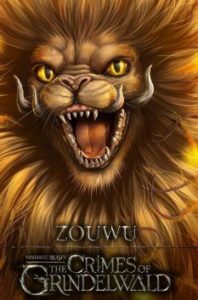 The Zouwu, who like Frank resembles the Phoenix in significant ways, and its repatriation by our favorite Magizoologist would make a great link to the beginning, especially if the unnamed Chinese Beast saves the day. (2) Follow the Money: Crimes of Grindelwald really didn’t hit the financial targets that Warner Brothers was aiming for. Though I’m told Chinese theaters take a larger percentage of ticket proceeds than their American equivalents, it’s still the world’s largest market for anything and one which the Wizarding World franchise has been grooming with no little zeal. What would make more sense for a franchise hurting at the box office then to throw in some token scenery of a Chinese park that is a World Heritage Site? (3) Rowling Reading: I’m told by a friend in the UK that The Presence was recently spotted reading a biography of the Duke of Windsor and Wallis Simpson — and that Simpson spent a year among expatriates in Peking, 1924-1925. That would be fun, no? Though the dates don’t match up just right, a visit to the English aristocratic hang-outs (among whom there have to be a few wizards and witches in thrall to Grindelwald?) in China before the Communist nightmare in the Far East begins would be an education, if more than a little risky in terms of avoiding offending the post Cultural Revolution power holders there today. I wonder if she’s a fan of Zu Warriors from the Magic Mountain (of the many variant titles…: 1983)?